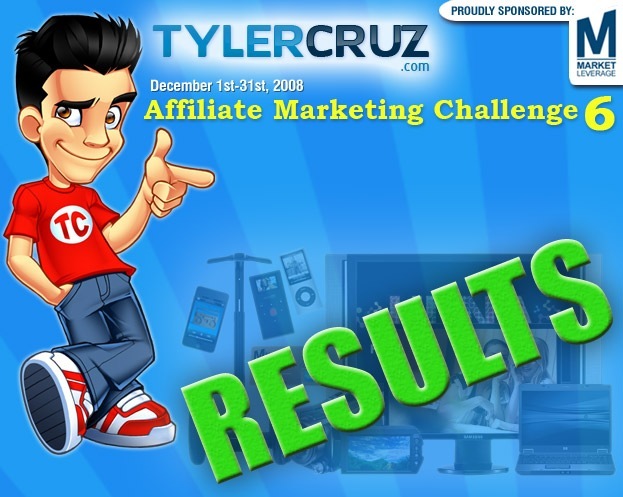 Unfortunately, the 6th Affiliate Marketing Challenge had a number of big setbacks, the biggest one being a super affiliate slowing his campaigns down a lot. On the other hand, even though his campaign slowed down by 60%, he’s still producing very impressive numbers and easily took 1st place. In addition, there was a great increase in new active sign-ups which is always encouraging to see. While November set a record-breaking month for gross commissions, December seemed to have the opposite effect with many of the pre-holiday shoppers having been exhausted of funds, as well as the many holidays spread throughout the month. I’d like to thank everyone who participated for entering, and especially thank MarketLeverage for sponsoring their 6th competition in a row! Congratulations to CD8470, aka "The Behemoth", for once again dominating the competition. As a result, he’ll be receiving an HP Compaq Business Notebook for his efforts. Hopefully this laptop will be of some use to him when he travels so he can work on his PPC campaigns while on vacation. CD8470 has now won all SIX CONSECUTIVE Affiliate Marketing Challenge competitions and remains the undefeated champion. 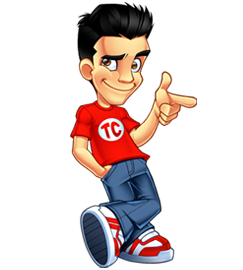 His prizes from all the competitions now include an LG – Scarlet 52″ 1080p LCD HDTV, Olympus E-520 10.0MP DSLR Camera, Panasonic 60GB HD Drive Camcorder, HP Compaq Business Notebook, Dell 22″ Widescreen Monitor, and an 8GB iPod Touch. What will MarketLeverage and I be giving him next? Perhaps a yacht? While The Behemoth once again dominated, his commissions dramatically fell in December. He was actually on pace to exceed $100,000 at the beginning of the month so it’s unfortunate how things progressed. Nevertheless, I wouldn’t be surprised in the least if this was just a temporary hiccup and The Behemoth returns to indeed hit the $100,000 mark. CD8467, aka "The Dark Horse" is sure one mysterious competitor. In the previous competition, he came out of absolutely nowhere in the final 6 days of the competition to generate over $7,000. While he $9,180 in December was an improvement in commissions generated for the month, it needs to be noted that this was generated that most of this was generated within the first 5 days! After that he completely stopped. It’s a shame as he was on pace to hit the $50K tier. I’d love to talk to this guy and see what the story is. He seems to be able to push big numbers but in such short bursts. Here’s hoping that the mysterious Dark Horse returns! CD10565, aka "The Magician", aka Paul Piotrowski from InspiredMoneyMaker.com is a regular leaderboard winner in my Affiliate Marketing Challenges. What’s sick is that this is actually his THIRD time finishing in THIRD place, making it his THIRD iPod Touch won. While I believe he gave his second one to his wife, I don’t think he’s into pologamy and therefore won’t have a second wife to give this one to. CD9050 saw quite a drop in commissions in December, despite finishing 4th place. In November, he brought in $3,969.00 which is over twice as much. It could be the pre-Christmas season that did well for him, as December didn’t seem to do as well for many people (including myself). In any case, congratulations to him for winning the first Flip MinoHD we gave away in these competitions. Those flips really are very handy. I have two myself, but need to add the HD to my collection! This was CD12686’s first time participating in my Affiliate Marketing Challenge but did very well. I’m interested to see how he does in the future. In addition to placing 5th in the main category, he also won 1st place in the New Signup’s category to take home an 8GB iPod Touch as well. Not a bad Christmas present! Congratulations to CD12563 for generating $159 in December to earn himself an 8GB iPod Nano. CD12997 brought in $76.80 which works out to less than $2.50 per day. As a reward, he’ll be receiving a prepaid $125 American Express card. See? It’s not too difficult guys… he only generated an average of $2 per day but now has some extra pocket money to himself something nice! In total, there were only 4 bloggers who posted about my competition. That meant that the average submission had a 75% chance of winning an easy $35! Hopefully you’ll consider those odds for my next competition! Each of the above will be receiving a $35 Prepaid MarketLeverage Rewards Card. I have e-mailed each of the blog winners and notified MarketLeverage as well. They will be contacting each of the winners shortly. I’ve now referred a total of exactly 150 affiliates to MarketLeverage, 15 of which signed up during this past competition. My personal goal for the competition was for the total commissions to hit $115,000. Unfortunately, this was the first competition in which we didn’t completely smash the goal. This was due to The Behemoth having a slow month (for him). Hopefully things will pick up in January. To date, my referrals have generated a total of $360,862.80, and I only signed up to MarketLeverage in June 2008! The 7th affiliate marketing challenge is already under way. If you haven’t checked it out yet, make sure you do. MarketLeverage is taking a little break from being the sponsor (they’ll be back, don’t worry). Instead, we have XY7 sponsoring the 7th competition. Competition is currently very low so your chances of winning a prize are extremely good. Thanks for the contest and the motivation to push forward, Tyler. Maybe your top affiliate was just away for part of December so stopped his campaigns? I hope your new challenge becomes just as successful! Nice! I was hoping to win that again. It’s true, I gave my iPod Touch to my wife since I already have an iPhone, and ML was nice enough to offer me a gift card instead of the iPod Touch in the last competition and hopefully in this one as well. For the money I went out and bought two 24″ Samsung Monitors on sale on Boxing week, so it’s the same as winning two of those! Thanks Tyler to hosting the contest, and ML for sponsoring it. For my affiliate business, overall, December was actually a record month for me. Unfortunately, the offer at ML didn’t perform as well as another I found. I really like ML and I definitely plan on testing more stuff with them in the coming weeks. One of the top prizes (Olympus E-520 10.0MP DSLR Camera) is an amazing camera! I got the same one for Christmas and absolutely love it! What’s sad though was I finally had a successful campaign run on the last day of December that’s been generating $30/day since then which has been cool. These contests are really quite motivating…Hopefully this contest with XY7 Will work out well and they’ll be back again. Yeah, a lot of people didn’t blog about the contest because apparently Tyler changed it to blogs related to his niche ONLY. Very nice, cool stuff for those who won. Are those Samsung monitors the kind that can switch between landscape and portrait? They are perfect for coding and looking at long webpages. Thanks Tyler for running the contest and to ML for the prizes! The 24″ monitor this time and PS3/Rockband from November. I had 3rd in new signups for a while but just lost it. Great contest and grats to all! Ill see you guys next contest, hope ML has some decent offers or this is going to be tuff. Well done to all the winners, it’s amazing to see how everyone goes about doing their thing, although, finding out who is who takes a damn long time and a lot of clever searching! I see “Contest Blogs” winning your blog post prizes.. I thought you said that the blogs had to be about affiliate marketing. great post man keep the fire burning. What a impressive numbers there. I wonder what he does to get that figures.